Being a green and prosperous municipality in 2020. To provide quality services by practising a noble and professional work ethic in order to provide a high standard of living conditions. To become an internationally recognised and certified municipal council. To plan the development of Sepang in an orderly and balanced manner. To provide up-to-date facilities that cater to the local socio-economic development. To provide a thorough hygiene, health and contagious diseases supervision. 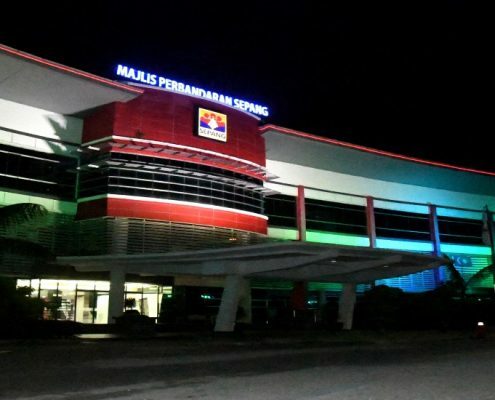 To develop scenic and eye-pleasing landscapes all over Sepang. To improve the quality and transparency of the Council’s financial management and accounting capabilities. To cultivate a work culture that is driven by the latest development in information technology. To license all business and hawker activities and advertisements in Sepang. To establish a fruitful relationship with local residents through planning; and social and cultural activities. To continually improve and accelerate administrational processes through excellent staff service, positive values and a high level of integrity. To enforce municipal regulations and by-laws firmly and fairly.